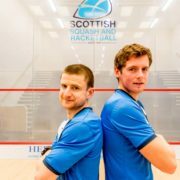 World champion doubles duo Alan Clyne and Greg Lobban have returned to the doubles court this week ahead of the defence of their world crown in Manchester next month. The Inverness players memorably overcame Australian home favourites David Palmer and Zac Alexander in the final of last year’s World Doubles Championships in Darwin. This week the pair have been in Manchester for a training block along with the rest of the Scotland squad and competing in a series of Test matches against Wales and England before the Scottish Doubles Championships in Glasgow on Sunday (July 16). 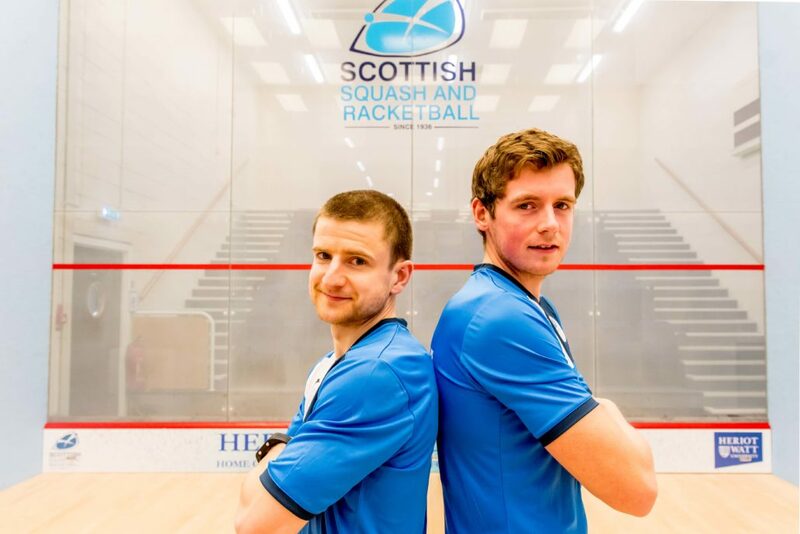 Scotland national coach Paul Bell says Clyne and Lobban have relished teaming up again and believes they have a big chance of defending their world crown in August. He said: “There’s a number of new nations competing in the world doubles this year including England who are historically very good at doubles. “So the competition will be a lot stiffer but I believe Alan and Greg go into the event as favourites and they will relish that tag. “Players will have taken notice of what they achieved last year and will be hoping to avoid them in the draw. This Sunday’s Scottish Doubles Championships at Scotstoun Leisure Centre (admission is free for spectators) will have a bearing on final selection for the World Doubles Championships. Scotland will be entering two men’s teams, two mixed teams and one women’s team. Bell added: “The doubles is a big deal for us. Traditionally we have done well in doubles and obviously Alan and Greg are the world champions. “This is our first opportunity to get some of the girls involved as well at the World Championships which is exciting. “It gives them a chance to compete against some of the best players in the world in a doubles environment. “We will learn a lot of valuable information this weekend which will give us a good indication of how we’ll maximise our assets ahead of the World Doubles Championships and the Commonwealth Games next year. This Sunday’s Scottish Doubles Championships take place at Scotstoun Leisure Centre, Glasgow from 10am.